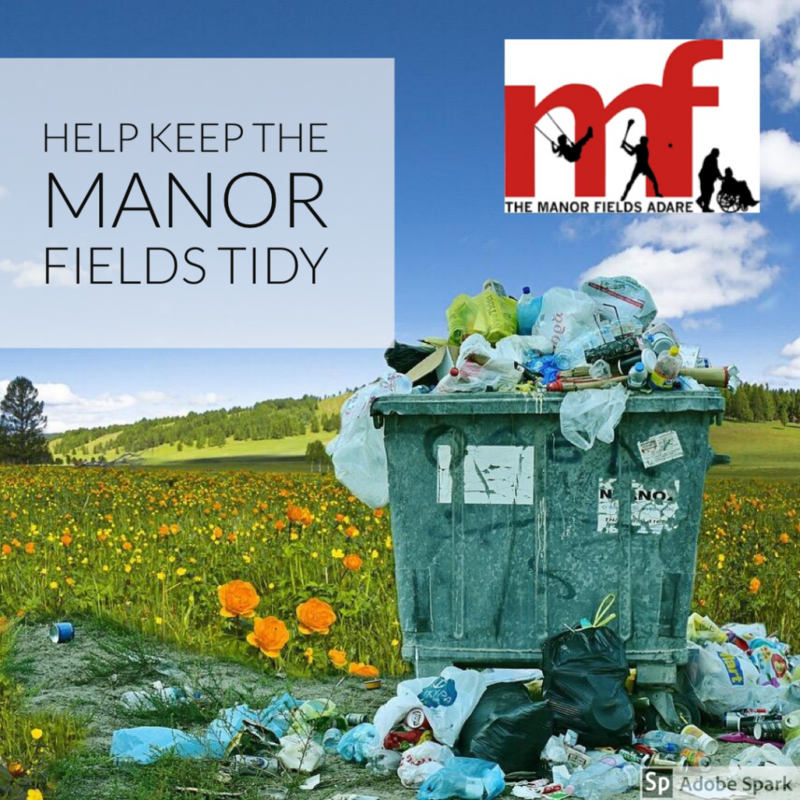 With the week that’s in it, with the fantastic Team Limerick Clean Up happening this Good Friday, we thought it would be a good time to encourage all users of the Manor Fields to help keep the facility in top condition. 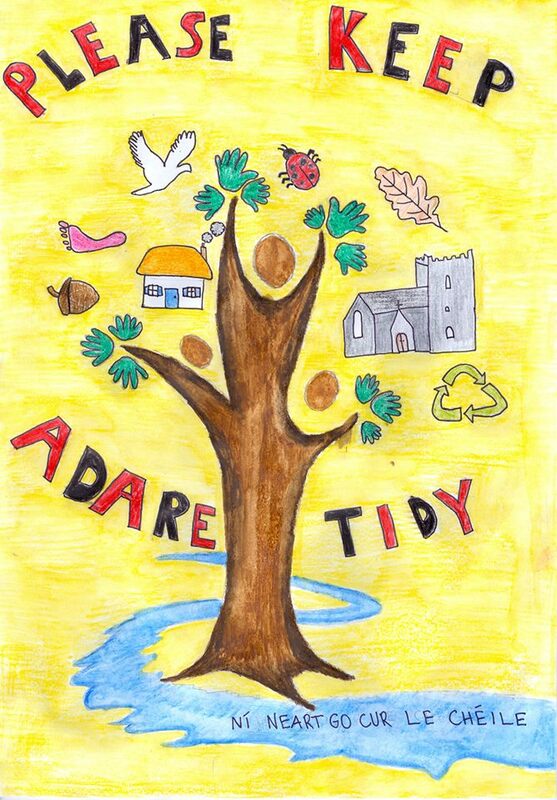 Adare has always been at the forefront of the Tidy Towns movement with many awards over the years, and we here at the Manor Fields would like to continue this tradition. 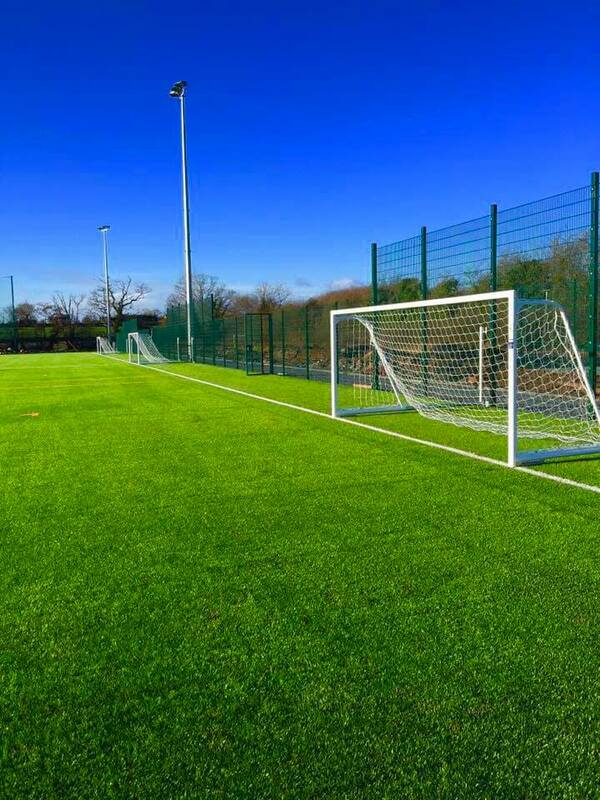 With over 25acres to maintain, with just a tiny team of staff and volunteers we need all users of this fine facility to get on board and help make the Manor Fields littler free. This starts with all the parents of children using both our Astro Turf pitches and our grass pitches. We would encourage you to use reusable metal water bottles, not the plastic disposable ones, and make sure that your children bring these bottles home with them. This has an added environmentally friendly aspect to it, with the ultimate aim of making the Manor Fields, SINGLE USE PLASTIC FREE. We already have a policy that everywhere in the Manor Fields is a CHEWING GUM FREE ZONE. This is especially important on our AstroTurf and on the walkway around it. Can all players using our pitch and coaches please ensure that the AstroTurf pitch is kept chewing gum free. For those many people using the Manor Fields for walking your dogs. We love to see dogs here with their owners getting exercise, but we would like to educate you on a few things. Even the most responsible of dog owners often aren’t aware of the dangers of dogs on playing pitches. Please keep your dogs on leads at all times. Please do not allow your dogs on the grass playing pitches or the AstroTurf pitch at any time. If your dog poops on the pitches this can be highly dangerous. Please remember that these pitches are being used by your fellow community members, your children and your grandchildren. The presence of dog faeces on pitches can be potentially fatal to those using the pitch. So if your dog poops anywhere in the facility, please use a doggie poop bag to gather it up and please bring it home with you. And finally, we deliberately have no bins around the Manor Fields, this is for numerous reasons, but can all families, players and coaches using the playground and pitches please take home their littler with them. Please remember this is your facility for your use and your enjoyment. Don’t ruin your environment by littering. This entry was posted in Announcements, News and tagged Adare, County Limerick, Limerick, pitch hire. Bookmark the permalink. ← Cricket season is back!